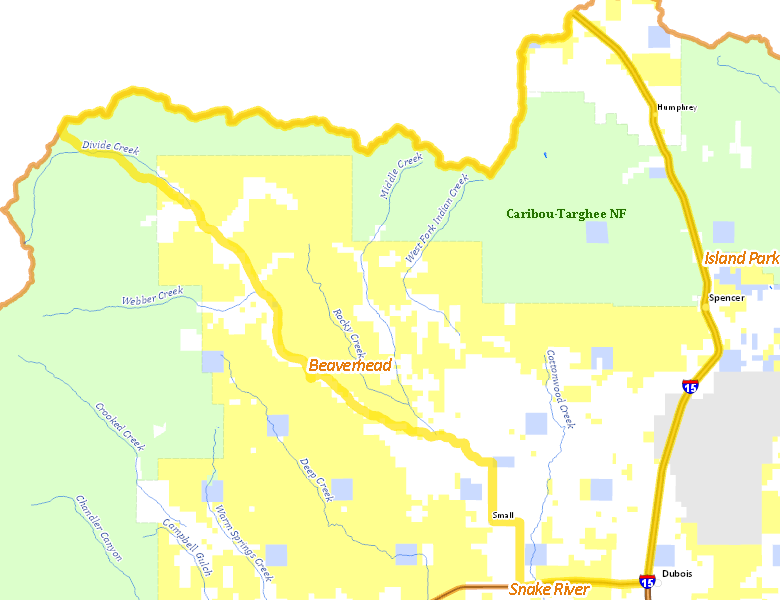 That portion of CLARK COUNTY within the following boundary: beginning at Dubois, then north on Interstate 15 to the Idaho-Montana State line, then west along the state line to Bannock Pass (Clark County), then south on Medicine Lodge Road to State Highway 22, then east on State Highway 22 to Dubois, the point of beginning. No properties are currently available in Unit 59. There are no wilderness areas in Unit 59.